Olivia McEvoy the Chair of National Lesbian and Gay Federation will introduce both films in our Pride 2013 programme and will host Q&A with Pamela Drynan after the screening on June 22nd. 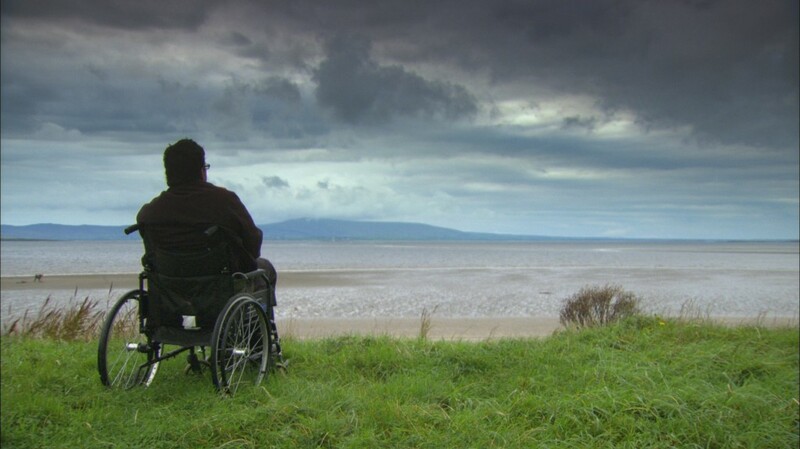 In this new Irish documentary, gay American writer Robert Drake returns to the small town of Sligo from his home in Philadelphia, in an attempt to revisit the memories of his time in Ireland. Twelve years have passed since he was the victim of a violent and bloody attack by two local men there which left him permanently brain-damaged, wheel-chair bound and unable to continue his burgeoning writing career. 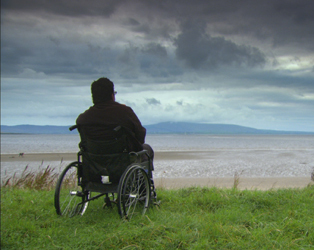 Accompanied by his sanguine carer, Butch, he meets Colm Tóibín, Dermot Healy and those who cared for him after the attack, and compares life now with life before the brutal event. This is a heart-breaking but ultimately up-lifting tale of forgiveness and redemption. Director Pamela Drynan will be present at the screening. Also screening as part of the programme is Beyond Gay: The Politics of Pride on June 28th (18.30).